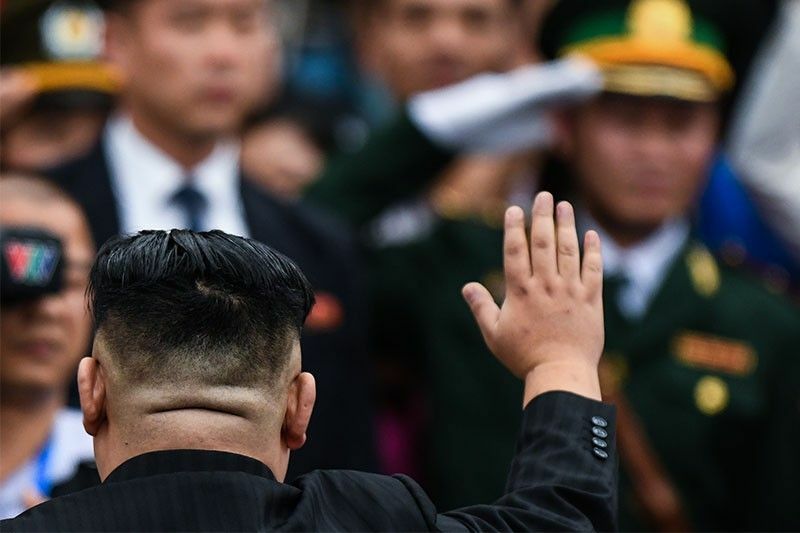 North Korea's leader Kim Jong Un (L) waves as he arrives to board his his train at the Dong Dang railway station in Lang Son on March 2, 2019. SEOUL, South Korea — North Korea pulled its staff out of an inter-Korean liaison office Friday, Seoul said, weeks after leader Kim Jong Un's summit with US President Donald Trump ended without agreement. The South's President Moon Jae-in was instrumental in brokering the talks process between the nuclear-armed, sanctions-hit North and the US, Seoul's key security ally. But the failure by Kim and Trump to reach agreement in Hanoi last month on walking back Pyongyang's nuclear programme in exchange for relaxation of the measures against it has raised questions over the future of the process, despite both sides' expressed willingness to talk further. In his New Year speech -- a key political event in the North -- Kim said without giving details that Pyongyang might see a "new way for defending the sovereignty of the country and the supreme interests of the state" if the US persisted with sanctions. Seoul sought to keep the door open to more contact. "We regret the North's decision," Chun said. "Though North Korea has pulled out, we will continue to work at the liaison office as usual."